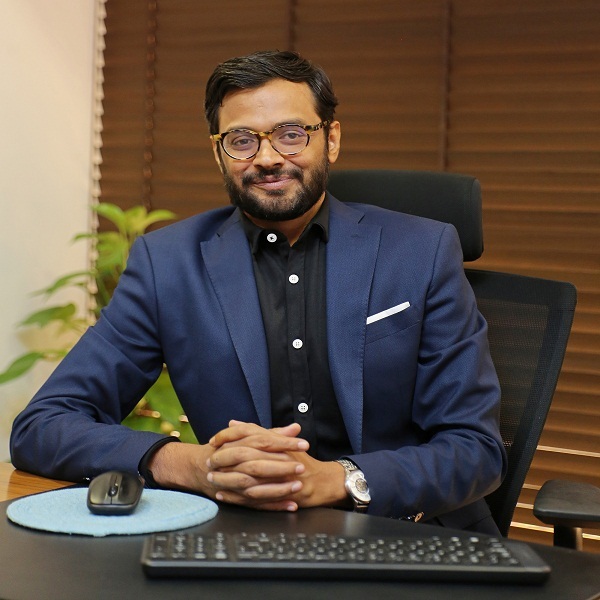 Lalit Agarwal is a retail entrepreneur, and founded V-Mart in 2002, pioneering the concept of organized value retailing focusing on affordable fashion, in Tier II, III and IV Indian cities. He was awarded by Indian Retail (Franchise India) for 'Retail Leader of the Year in 2018' and, in July 2017, was nominated to the Niti Aayog’ Champions of Change initiative. In Lalit’s stewardship, V-Mart has won many prestigious awards. The company was chosen as "The world's best-performing departmental store chain" by Bloomberg in 2018, “The Best operating model in India” by Jefferies Research, Indian Power Brand- 2012-2013 by Planman Media; “Most Admired Retailer of the Year”:- “Discount Retail” by Images Retail Award 2011. V-Mart has also won the “Most Admired Retailer of the Year”:- “Concept Store” by India Retail Forum 2011. It is one of the trusted retailers awarded by International Brand Consulting Corporation, USA as India’s No. 1 Brand Awards 2016: India’s Best Retail Fashion Store Chain Category. As a leading industry voice, Lalit holds the role of the Chairman of Retailers Association of India (RAI) for the Northern Region. Lalit earned a Bachelor’s Degree in Commerce from Bombay University, and Diploma in Financial Management from Narsee Monjee Institute of Management Studies (NMIMS), Mumbai. 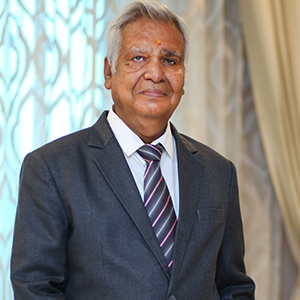 Madan Agarwal has more than four decades of entrepreneurial experience in the fashion retail industry. He started his career by opening a tailoring shop in the 1970s and later, opened a popular and highly successful apparel and footwear retail store in Cuttack, ‘Shreeman Shreemati’. He is a mentor and a guiding force for the company, and has been instrumental in ensuring customer centricity and cost-consciousness is ingrained in the DNA of V-Mart. He has a Bachelor’s Degree in Arts from the City College, University of Calcutta. As an accomplished professional with diverse global experience, Aakash is currently the Global CFO of Naspers Fintech and PayU. Previously, he has held senior positions at Nokia India Private Limited, Baring Private Equity Partners (India) where he headed the Retail vertical, Bharti Retail Private Limited, Bharti Airtel Limited and AT&T Corporation and as the CFO of Snapdeal. Aakash is a steady member of the Institute of Chartered Accountants of India and the Institute of Company Secretaries of India. He holds a Bachelor’s Degree in Commerce from the University of Delhi and an MBA from Southern Methodist University, Texas. He also attended the International Directors Programme at INSEAD in 2017 and attained the IDP-C certification for driving corporate governance at a Board level. 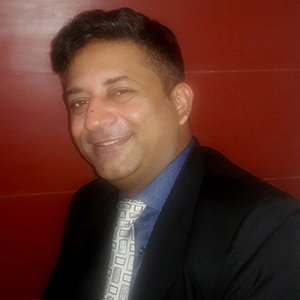 Murli is a Management Consultant and CXO Coach specializing in transformation & strategy, performance improvement, leadership development and change management. 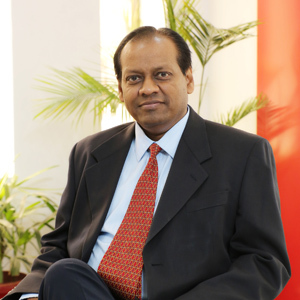 He has about 30 years of rich and varied experience with well-known MNCs and Indian companies. During his career, he has held key leadership positions such as Operating Partner of TVS Capital Funds, MD of Sanmar Speciality Chemicals, MD of RPG Life Sciences, President of RPG Enterprises, and Partner / Associate Partner of KPMG Consulting and of Accenture. He is also a Director on the Board of Junior Achievement (JA) India - part of Junior Achievement Worldwide™, the world’s largest organization dedicated to educating students about Work Readiness, Financial Literacy and Entrepreneurship, through experiential, hands-on programs. Murli has a BE (Hons) degree in Mechanical Engineering and an MMS from BITS Pilani. He also has an MS in Industrial Engineering from Columbia University, New York. Sonal is a lawyer with almost 20 years of experience and specializes in preventing workplace harassment, diversity issues, mediation matters, matrimonial issues and negotiation. She is the Founder Director of Helping Hands, an NGO that helps implement policies against sexual harassment, and other forms of harassment and discrimination at the work-place, besides carrying out training and investigation on complaints filed with the organization. She is also the Founder Partner of Mantran Consultants, a firm specializing in CSR activities, Counselling, Diversity policies and workshops. She holds a B.A., LL.B. (Hons) degree from the prestigious National Law School of India University, Bangalore. Her schooling is from The Lawrence School, Sanawar. Govind possesses rich cross-functional experience of more than three decades in the Textiles, Apparel and Retail industry. He has worked across the fabric-apparel value chain, and multi- format retailing, including department stores, hypermarket, airport retail , books and music, etc. 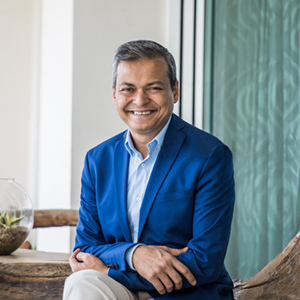 In his last professional role, he was the Managing Director of Shoppers Stop, where he started his stint in 2001 as the Vice President of Buying & Merchandising function, growing to the role of Chief Operating Officer role before being elevated as the MD. Prior to Shoppers Stop, he was associated with Mafatlal and Johnson & Johnson. He has the unique distinction of being part of the team that launched Arvind Denim & Arrow. Govind has also worked with Bombay Dyeing. 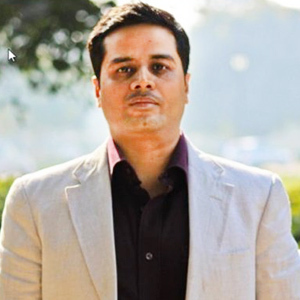 He holds an MBA in Marketing from Symbiosis, Pune University, and B. Tech. in Textile Technology from VJTI, Mumbai University. As the COO at V-Mart, Samir’s role is a strategic consolidation of Marketing, Operations, Visual Merchandising, Retail Planning, Retail Human Resource, Projects and Business Development. This is key to the long-term vision of V-Mart to accelerate the pace of change required to meet evolving stakeholder expectations. 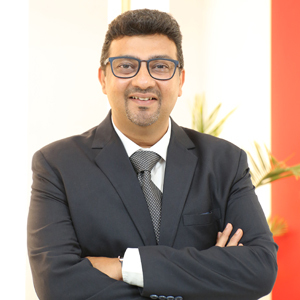 Samir has 15 years of multi-faceted industry experience with some of the country’s leading retailers and brings with him deep understanding of the Indian consumer mindset, subject knowledge in product differentiation and valuable hands-on experience in rapid business scale up and expansion. He has a highly developed sense for fashion owing to his vast experience in retail, and his charismatic persona and intuitive behaviour makes him a natural people’s person both in the corporate sphere as well as socially. 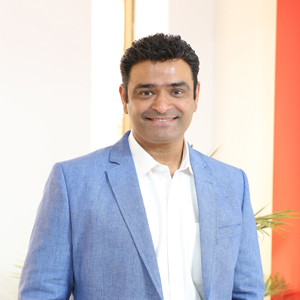 Prior to joining V-Mart, Samir had been associated with the Aditya Birla Group for 8 years, with leadership roles with Pantaloons Fashion Retail & Madura Fashion & Lifestyle. He has led business roles with diversified organizations like Mc Donald’s, Marico & Future Group. As the CFO of V-Mart, Anand is a core member of the leadership team, driving growth, strategic execution and corporate governance agenda in the company. He has more than 22 years of rich experience in strategic planning, finance, legal, treasury, fund raising, M&As, investor relations and board management. Prior to V-Mart, Anand has held leadership roles in companies like HT Media and Reebok, and has earlier worked with Ernst & Young. In an entrepreneurial stint, Anand also co-founded and led one of India’s first ISP start-ups that was launched in 1999. His transparent workstyle and a calm disposition make him a natural at leadership and people-bonding. He is a regular speaker at prestigious industry events and well-regarded in the investor and analyst community. A CA and CS by qualification, Anand is a tech enthusiast and a former marathon runner. He is fond of gardening and reading. Despite being a workaholic, Anand is a family-oriented person at heart, and loves to spend quality time with his wife and two sons. Since joining V-Mart in 2016, Rajan has generated cost savings of 15% and has been instrumental in driving a 12% Y-o-Y growth in stores, owing to his accurate reading of fashion trends, astute negotiation skills, and a hands-on-approach in establishing win-win vendor relationships. Rajan has over 25 years of proven experience in Sourcing, Merchandising, Buying, Product development and Sales, working with some of the leading retailers and fashion brands. Prior to joining V-Mart, Rajan worked with Vishal Mega Mart as VP – Apparels for over 8 years and was instrumental in converting it into a private labels-led business. He has acquired vast experience in Sourcing and Manufacturing for global brands like Limited Express, Lerner’s, Lane Bryant, Limited too, J.C. Penny, Walmart, Tommy Hilfiger, DKNY etc. Rajan holds a Masters degree in Commerce, and his ‘I don’t stop when I am tired, I stop when I am DONE’ attitude has made him an effective leader at work. Besides being a travel enthusiast, and an avid follower of fashion trends, Rajan loves to keep fit by hitting the gym regularly. Rajan has two kids – a boy and a girl; and his wife, who are based out of Australia. In his long stint at V-Mart almost since its inception, Snehal has been instrumental in building the retail presence of the company, and establishing key processes in New Store Operations (NSO), business development and site selection, and marketing. During his tenure, since 2004, the company has witnessed its sales increase from 40 crore to 1200+ crore rupees, and a rapid growth in store footprint, from 5 to over 190 stores. His business acumen, understanding of market opportunity in tier II, III and IV towns at a grassroots level, and negotiation skills have enabled V-Mart become the ‘King of Fashion Retail’ where the ‘actual India’ lives. He has over 18 years of experience across back & front-end retail operations. A multi-talented and an extremely creative personality, he is the force behind several V-Mart projects. He happens to be one of those rare professionals whose forecasts are astute. Snehal is a Commerce graduate from Mumbai University, and has also earned a Certificate in Management from Crestcom, USA. Away from his hectic work schedule, Snehal is a doting dad and loves to spend time with his family, exploring new cuisines and place. Over the past 3 years at V-Mart, Srini, as he is popularly known, has established the Planning and Allocation function, helping design and implement a rule-based engine that fulfils stock replenishment and reordering requirements at the store level. He has over 17 years of professional experience spread over retail and manufacturing industries, in consulting, planning and managing operations. Prior to V-Mart, Srini has consulted promoters of many retail companies including brands and departmental stores. He was the founding member of the Operations Advisory practice at Resurgent India for Indian Retail SMEs. In an earlier role as an advisor, he worked with Tesco as the Subject Matter Expert for cross functional processes of Tesco’s Operating Model and was involved in the roll out of the US venture Fresh & Easy stores. Earlier, he was a member of the commissioning team of world’s largest grass-root refinery at Reliance Jamnagar. 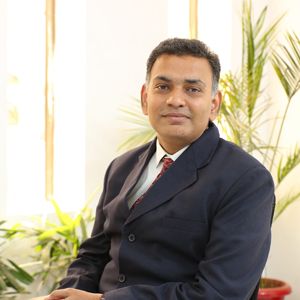 Srini holds a degree in Chemical Engineering from A.C. College of Technology, Anna University, Chennai and a PGDM (MBA) in Finance and Operations from IIM Lucknow. A spiritually inclined person, he is a proud father of two sons. VG, as he likes to be called, possesses 25+ years of experience in cross-functional retail operations. In his able leadership, V-Mart has been continuously ramping up its store footprint across India, reaching 194 stores as of October 2018. Venu’s strong focus on execution at the store level, his proven team leadership skills in chasing targets, and ability to execute plans timely makes him a natural operations leader. Prior to joining V-Mart, VG has worked in senior roles with companies like Avis, Cantabil, OCM, Givo and Vishal, closely witnessing and contributing to the evolution of organized apparel and fashion retailing in India. He holds a Post Graduate Diploma in Planning & Management from IIPM, New Delhi, and a Masters in Political Science from Berhampur University, Orissa. A self-confessed racing car sports enthusiast, VG likes going on long and fast drives across various terrains in his spare time besides spending time with his family. Ramesh has been associated with V-Mart since 2011, and is responsible for supply chain planning, warehouse and logistics operations, and FMCG planning and buying. He has rich and extensive experience of more than three decades as an entrepreneur and a retail industry professional, spanning multiple functions - manufacturing, planning and buying, retail operations, and supply chain management. His focused approach, in-depth business understanding and vendor negotiation skills have contributed significantly to V-Mart’s continued success in catering to store and customer requirements timely, and in building its FMCG/kirana business. 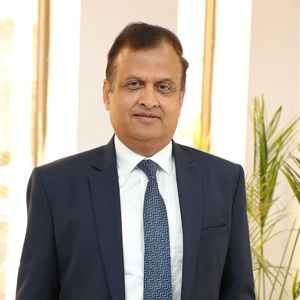 Prior to joining V-Mart, Ramesh played a key role in Vishal Mega Mart where he led the development of over 200 FMCG/staples private labels, and also handled New Store Operations in V2 Retail Ltd. Ramesh started his retailing career in the 1980s, managing a popular apparel and tailoring showroom in Cuttack, Odisha. He has two children: a son, who is pursuing engineering, and a daughter is in architecture studies. At V-Mart, Syed is leading the Skills Development Initiative of the company. 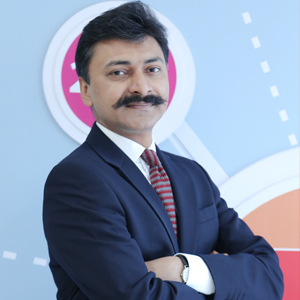 He joined V-Mart in January 2018 after having served in key strategic positions throughout his career in leading companies, NIS Sparta (Business Head), Bharti Comtel(National Head), Centum learning(VP) & NIIT(Business Head/VP). Syed has work experience of around 22 years with 17 years in acquisition and implementation of Government/Multilateral projects in Training, Capacity Building and Skills Development Domain. He has been associated with design as well as implementation of large scale employability and skill development projects, including the National Police Training (Prevention of Trafficking/Capacity Building), government training projects in Naxal-affected and extremism- affected districts of the country, as well as projects with the United Nations Development Program and other development sector organizations and multilateral agencies like DFID and USAID. Syed is an Economics Graduate with a PG Diploma in Management. An Avid wild life enthusiast, when not on assignment, Syed is most likely to be sighted in wildlife sanctuaries along with wife Nidhi and daughter, Raabia. In his role leading the Strategy and Corporate Communication function at V-Mart, Ranjan is entrusted with inculcating strategic planning and project management mindset across the organization. He works closely with the leadership team to plan and execute strategic initiatives focused on growth, operational excellence and corporate citizenship. He is also responsible for providing oversight and guidance on key stakeholder communication initiatives targeting investors, customers and employees. Ranjan has more than 16 years of global experience across research and consulting, education services, pharma and retail sectors. Prior to joining V-Mart, he worked with companies like Religare, Axience Consulting, Ranbaxy, and Eli Lilly in P&L leadership roles. During 2014-2018, he co-founded and mentored LifeRenew, a corporate fitness, training, CSR and events company. Ranjan has earned a PGDM (MBA) from IIM Lucknow and is currently pursuing a PhD in Communication from IIM Lucknow. He has published several papers in peer-reviewed global journals, and presented papers at international conferences. A keen yoga practitioner and fitness enthusiast, Ranjan likes to cook and travel when unwinding with his family. 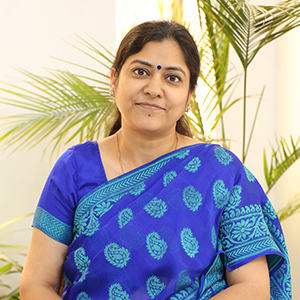 As Head, HR in V-Mart for the past 5 years, Anjali works closely with the stakeholders and the leadership team to design and implement HR strategy in line with the Business strategy and the future work scenarios in the VUCA space. She has more than 10 years of experience in effective leadership hiring, OD & Change Management, Talent Management, Workforce Planning, Employee Engagement, Talent Reviews and Assessment Centres. Prior to joining V-Mart in 2013, Anjali worked with the DLF Group in a managerial capacity for 6 years. She is competent in building and driving a culture of conversations, of innovation, recognition, values & behaviors and high performance. Her modest nature, patient listening skills and optimistic attitude makes her a natural people’s person and approachable. Anjali holds a Post Graduate Degree in Human Resources from the New Delhi Institute of Management. She is blessed with a daughter.